Born and raised in Wisconsin, Casey Clifford lives on the western shore of Lake Michigan. Her office looks out at the lake which inspires her with its moods. 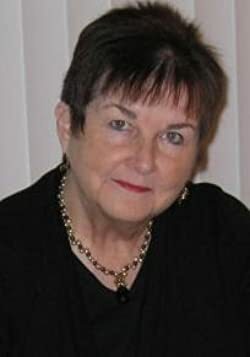 She writes romantic suspense/mysteries and commercial women's fiction. When she's not writing, she's a wife, mother, sister, friend. She enjoys photography, baking, reading, and music. She's retired from college teaching to write full time. Currently she also a monthly contributor to a local newspaper with an Op/Ed column in addition to her fiction writing. She enjoys speaking to large and small groups about writing challenges and techniques. She also does motivational programs. She loves creating stories about women who deal with life--whether that story is a suspense, a story about a woman dealing with a family problem, or a challenge in life. Her first book Black Ribbon Affair was awarded Best Romantic Suspense and Best First Book. The sequel Fireweed is available and is set in Alaska. It's received excellent reviews. Her 2012 suspense, An Island No More, is currently a finalist in two readers' choice contests. Her Wise Women Fiction books include The Dessert Dames series about a group of women friends, their life challenges, their families, their careers. These women grew up in a small Midwestern town and that small town ethic also influences their adult lives. She has currently produced the Soul String Saga, a series of 5 novellas tracing the growth of a woman from her twenties to her forties. It is now available in digital formats. Please enter your email address and click the Follow button to follow Casey Clifford!